We made Greek yogurt last week and I must admit that I made way too much of it. The recipe I posted was for a quart of yogurt and I made a gallon. Now as much as I love yogurt even I can’t eat a gallon of it in 2 weeks. 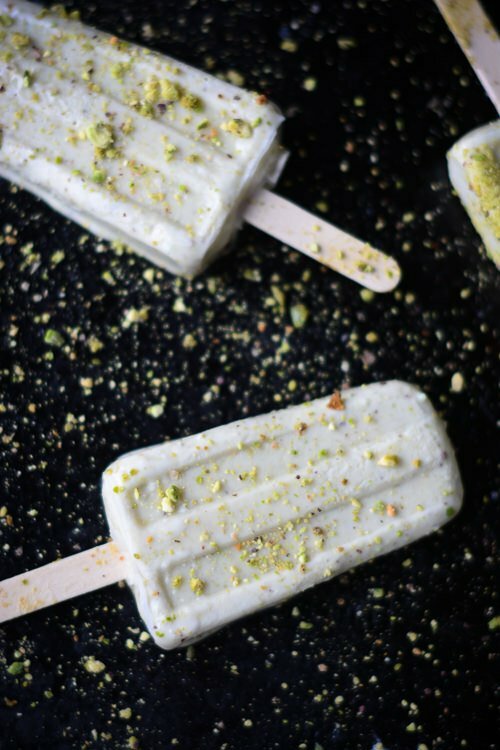 I thought freezing the leftovers into yogurt pops would be the best alternative. 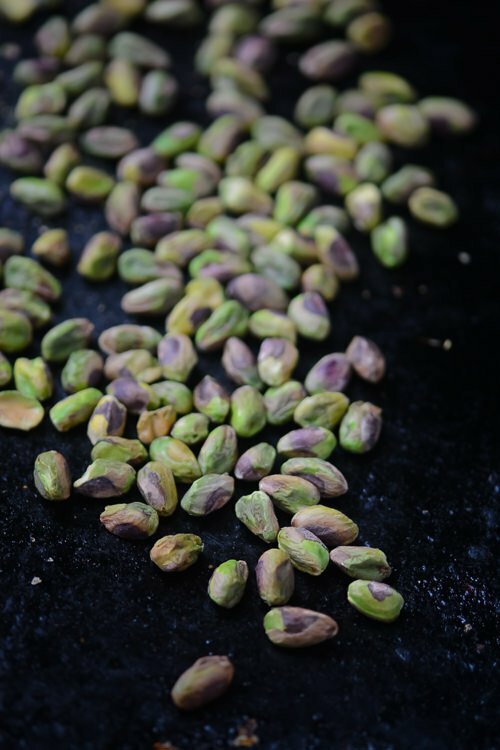 I wanted to try a different flavor profile so I took some finely ground pistachios, spiced them up with a little almond extract and cardamom and sweetened them up with honey. 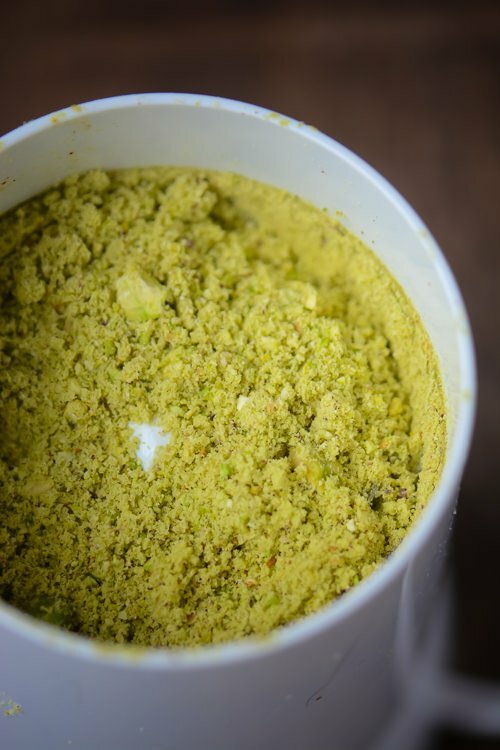 I used a spice grinder for the pistachios but you could also pulse them in a food processor to get the proper texture. I’m already thinking ahead to my next batch, I think some roasted strawberries or a little white chocolate would be some great additions. 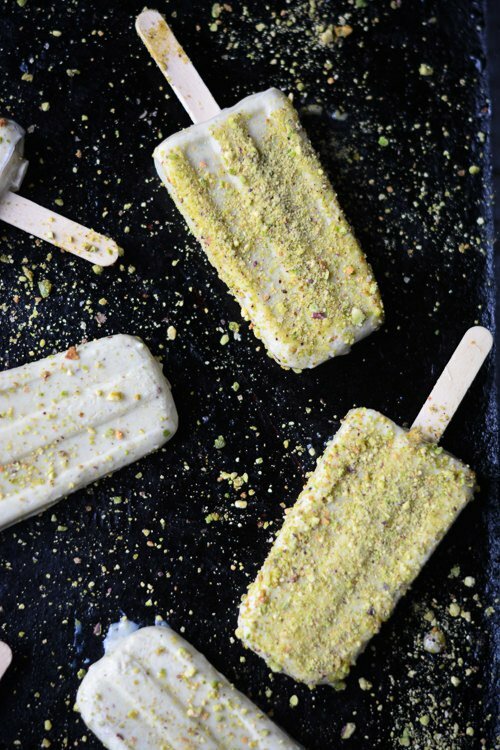 Pistachios and honey pair with creamy Greek yogurt for a unique popsicle treat. Combine the honey, ground pistachios, cardamom and salt in a small saucepan with the milk. Bring to just a simmer over medium heat. Pour the mixture into a bowl and place the bowl in the ice water bath and let stand, stirring occasionally, until cold, about 20 minutes. 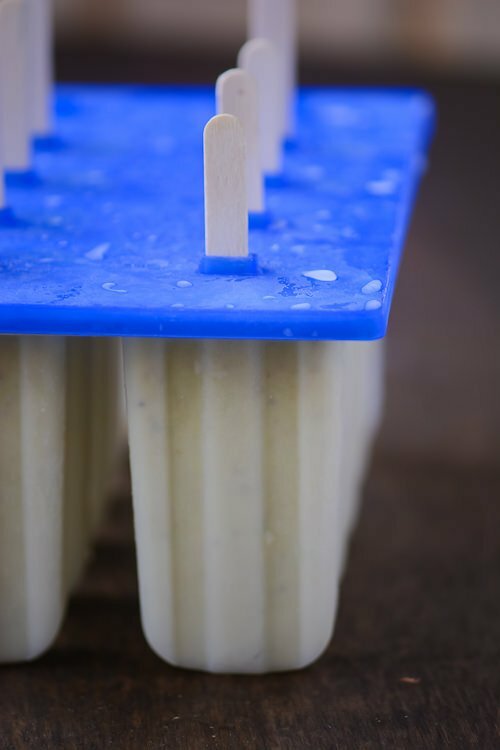 Pour the mixture into popsicle molds and freeze until firm 5-6 hours. 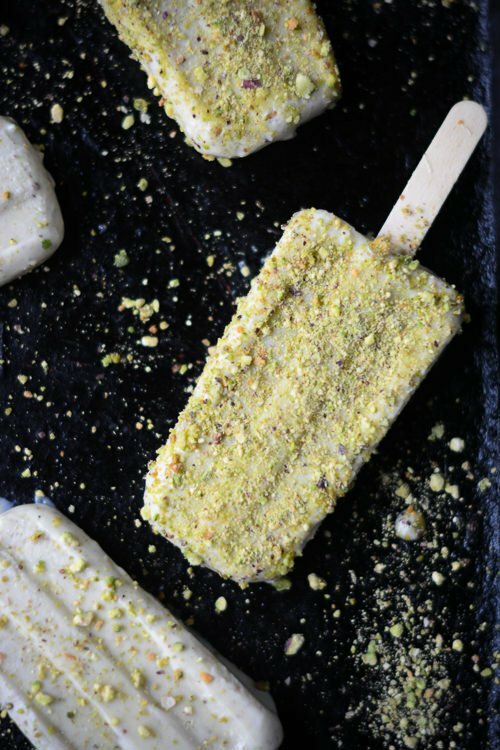 Once you remove the popsicles from the molds sprinkle with the ground pistachios if desired. This week I went old school and am sharing music from my three favorite artists. I discovered Tom Waits, Elvis Costello and Billy Bragg in my late teens and they have remained my favorite artists for the last 20 years. I have been fortunate enough to see them all perform live and they never fail to amaze me with their passion and intensity. I have spent many days driving around in my car with these songs on repeat. I hope you enjoy them as much as I do! Oh my goodness, pistachio heaven! I bought pop molds recently and am waiting for it to warm up just a bit to make some, and these will be on the list. Can you clarify the amount of milk called for in the recipe though? It is called for in two different places.